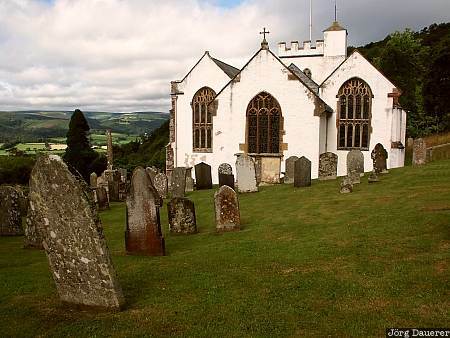 The church of Selworthy surrounded by old some graves. Selworthy is in Somerset in the south-west of England, United Kingdom. This photo was taken in the morning of a cloudy day in August of 2002. This photo was taken with a digital camera.